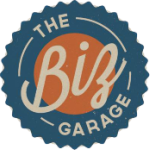 "Getting service at The Biz Garage has helped me achieve clarity, consistency and confidence. Every consultation keeps my business focused and prepared for each step of growth. If you want the best, you want The Biz Garage!" "...you are an incredible person, and a great Business coach. The best thing about the sum of your parts is the fact that you are a good friend to all who reach out to shake your hand. Thank you for all that you do for all of us. Happy Anniversary!" Make a payment or deposit using the button below.